It is pretty natural for women to have cellulite and it is such a hot topic among women. Everyone wants to get rid of it and try to find the ways to do so. I remember when I was at school my aunt was in direct sales and was introducing women beauty items, and that time she told me that her anti-cellulite products were her best sellers. That time I did not pay much attention to it, but years passed, a baby appeared in our family and all those cellulite spots became obvious. To get rid of cellulite is not that easy as it seems, it needs discipline, regular exercises and a quality skincare. While exercises can bring significant upgrades to cellulite areas, I know that I should consider the right and effective products for my skin. Anti-Cellulite sounds like a magic to me. How amazing to have a smooth, tight skin and proudly wear your swimsuit. 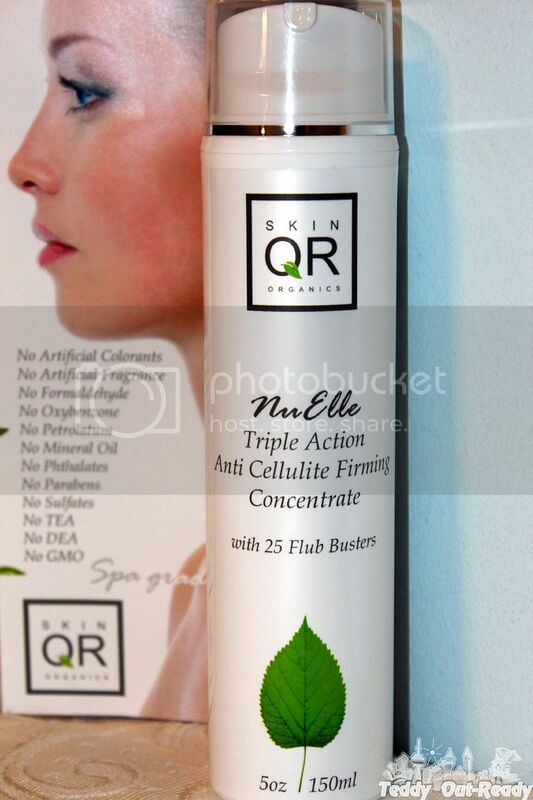 I am so happy that I found NuElle Triple Action Anti Cellulite Concentrate from Skin QR Organics. This fantastic product contains a working combination of 25 well known flub busters to help in weight loss and reduce cellulite. I like that this organic concentrate is intended to firm the surface of the skin and go deeply to reduce fat cell clusters and water retention at the same time. I’ve been using NuElle Triple Action Anti Cellulite Concentrate for a few weeks and I like the results, I like how my skin becomes firm and smooth. It should be used twice a day what was the most was challenging, apply on thighs, buttocks and stomach every day, no matter if you are tired or busy. Visible results are not going to appear in a few days but I was happy I am doing the right thing in my fight with cellulite. I like the NuElle Triple Action Anti Cellulite Concentrate citrus smell, light and pleasant. I really want that all beauty products were the quality of Skin QR Organics. Overall, I think NuElle Triple Action Anti Cellulite Concentrate brings pretty much all the results it claims. It can be easily found on Amazon.com and Amazon.ca for purchase. To learn more about other great products you can check Skin QR Organics web site. I also want to mention their great service and fast shipping, plus I received samples in addition to my NuElle Triple Action Anti Cellulite Concentrate order including I*Lift Bio-Restorative Radiance Eye Essence.